The BSE had launched its commodity segment on October 1. 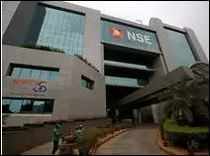 Kolkata: National Stock Exchange of India (NSE) on Friday launched trading in commodity derivatives. To start with, the bourse will focus on non-agri commodities, and gradually broaden product offerings to agri commodities. Commodity futures contracts on Gold (1 Kg), Gold Mini (100 gms) and Silver (30 Kg) are available for trading on the NSE. The contracts will be physically settled on expiry with Ahmedabad as the base centre. NSE is also planning to extend delivery centres to all major metros. NSE’s commodity derivatives segment was launched by Sebi’s whole time member S K Mohanty.